Info "Sink the balls into the hole. You need a steady hand for this!" That's How I Roll is one of Young Cricket’s Microgames in WarioWare: Smooth Moves. 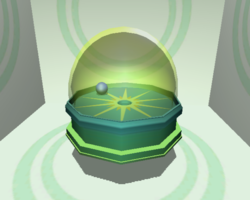 The objective is to roll the ball into the hole by tilting the Wii Remote to sink it in. 1st level difficulty: One ball. 2nd level difficulty: Two balls and two holes. 3rd level difficulty: Three balls and three holes. This page was last edited on February 19, 2018, at 18:52.